Families are defined by the relationships they involve, by the experiences they gather, and by the way in which people interpret and use these experiences to forge a happy and meaningful life. In any part of the world, the meaning of family is kept especially dear, and people value the opportunity to take a look at their family’s past and re-connect with old memories. The creation of a family album, whether literal and in the form of a scrapbook or series of photographs, or kept mentally as an occasional escape in thought, is something many families work towards as they grow and expand, and this is certainly true among families of immigrants who venture to Australia. With strong draws for people from countries around the world, Australia enjoys a considerable immigrant population, and greatly benefits from the experiences and ideas brought to its shores by newcomers. When families preserve these experiences and ideas and help make them a part of Australia’s culture and identity through applying for Australian citizenship, they provide a great ñthough sometimes unsung– service to the nation. One of the principal uses for a family album is to stay in touch with old faces and memories, and an Australian immigrant family’s album is sure to be filled with thoughts and feelings about old friends, extended family members, favorite entertainment venues or dishes, holiday celebrations, and other outstanding elements of life in a previous country. In many respects, this warm reminder of previous life experiences can help ease some of the homesickness that can affect immigrants, and can enable children to maintain a greater sense of their national identity and personal background. Though the process of creating a family album may be emotionally difficult, it is often able to help soothe psychological stress and provide considerable comfort in times of need. When immigrant families decide to become truly Australian by applying for citizenship, they are able to add a new and exciting chapter to their family album ñone that helps solidify their status and can make the merging of distinct cultures and practices more fluid. Families may wish to make a special event out of the granting of citizenship itself, creating a memorable entry in their family album that goes beyond the basics of citizenship paperwork to lend a personal touch to the accomplishment. 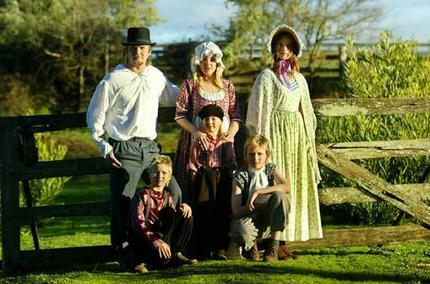 No matter how the fact of new citizenship is represented in a family album, its inclusion can go a long way towards telling the story of a family’s journey ñboth to the family itself through the generations and to other Australians who may be curious about different lands and experiences distinct from their own. Whether physical or kept safely in the imagination, a family album can be a great way to integrate new Australian citizenship into the memories and special moments of a family that has invested itself in the Australian nation and its people. This article was posted in Australian Life and tagged Australian Citizenship, Citizenship Test. believe it or not having a family album is part of the aussie culture so i do feel it strongly relation with citizenship. so after passing the australian citizenship test, go ahead and get your album!!! « Is the Citizenship Test Helpful for the Humanitarian Sector of Australia?